Are you still Going for Zero™? This is my last post about this campaign but I will continue to monitor my blood pressure. We should all continue to watch our diet and continue to exercise. There are lots of healthy food options mentioned here on the blog if you need any help finding alternatives to unhealthy choices let me know. Most heart disease and strokes are preventable so let’s continue to monitor our numbers, exercise and eat right (most of the time) so we can lower the statistics. 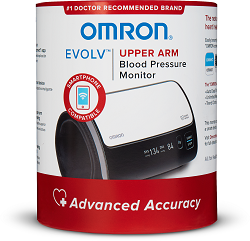 Omron has some amazing blood pressure monitoring products like the EVOLV that makes it easy to monitor your blood pressure and report to your doctor. Here are some quick reminders about the pledge that will help you in the future. Disclosure: This is a sponsored post for Omron. I have been compensated. All opinions remain my own and I was in no way influenced by the company.